In a pot, add cut fish and water. I accidentally added garlic earlier than I should... lol~ :X So ignore the chopped garlic in the soup. I believe the fish is yellow tail, but I could be wrong. This soup works with most type of fishes so you don't really need to worry what type of fish you're using. Make sure you turn on your stove to high. Add radishes and onions. Once it starts boiling, you will see the fat on the top of the soup. You need to scoop it out with a spoon. Then add chopped garlic, red pepper paste, and soybean paste. The heat from the soup is dissolve the paste. Add garland chrysanthemum (suk-gat from what I know). You need to cut the leaves from the stem and get rid of the stem. I only use the leaves part. Then add squash. During this time, I taste the soup to see if it taste to my bud. If it isn't spicy enough, add more red pepper paste. If you want more taste, add both pastes. Let the heat dissolve the pastes. Then taste again and hopefully, it's to your taste... hehe~ Before you eat the soup, add chopped green onions. I haven't done my nails for two weeks. I don't know if it's just me but do you remember the review for Sally Hansen Nail Art Pen review (click here to see post)? I only did nail art on two fingers with the pen. When I erased my nail polish a week after, I noticed the two fingers I used the Sally Hansen was weak, whereas, the others weren't. I thought that was strange! :X During that time, I didn't color my nails. I wanted it to get stronger. I wonder if it's just me or has it happened to you guys? Anyways, this is my nail of the week (NOTW #9). It's nothing unique or exciting. I just wanted a solid color on my nails... hehe~ I used China Glaze in For Audrey (click here to see the swatches of China Glaze). I'm going to end with the amigurumi I just finished. Since my unborn nephew is coming soon (in May), I wanted to make something for him. I always got something for my nieces, now for the future nephew, when they were born... hehe~ I wanted it baby safe and I saw the most perfect pattern online (click here to see the pattern). It's adorable, but at the same time, it looks very safe for a baby. Disclaimer: The products mentioned in this post is given to me except one of the body butter and body scrub. I am not affiliated with the company nor getting paid to advertise the products. 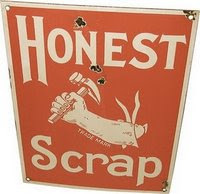 This post is written with my honest opinion. Last year, my friend gave me body butters from The Body Shop for my birthday and Christmas. I usually take off the skin of the chicken, but it is up to the person making it. You don't have to if you don't want to. Put the chicken in the pot with cut potatoes, carrots, and onions. It is up to the cook if s/he wants a lot of vegetables or not. In a bowl, I make the soy sauce mixture. I dilute the soy sauce with water. I cannot tell you the exact amount but my guess would be 1: 2 ratio (1 c. soy sauce: 2 c. water). I do this part by look... lol~ Then I add chopped garlic, pinch of black pepper, and sugar. The sugar adds a ting of sweetness in the chicken. I would say about a spoonful of sugar or so depending on your taste. Once you got your soy sauce mixture, add 2-3 spoonful of red pepper powder. Now put the sauce mixture in the pot with the chicken. Turn on the stove to high. Once it starts boiling, you can turn it to low. The cooking process should take 30-45 minutes. Make sure you check on the chicken 2 or 3 times by mixing it with a spoon. It will also spread the sauce to the vegetables on top. * Apply UDPP on your lips. It will fill the lines on the lips, conceal, and it will help the lipstick stay on longer. * If you want glitter affect on your eyelashes, apply mascara and then glitter eyeliner on top of the mascara. With the glitter eyeliner, put spots on different areas of the eyelashes. It will make your eyelashes sparkle. Boscia cleansing gel and moisturizer. Juice Beauty cleansing gel, moisturizer, and blemish serum. OleHenriksen eye cream and serums. LaVanila body butter and perfume. Diana from Paper Doll Revenge asked me to show a picture of MAC "Love Rock" blush on my cheeks (click here to see my post on the blush). 1. When you receive this award, show that you're happy to the giver. 2. Nominate at least 5 blogs, that you think rocks. 3. Let them know about the award in their post. 4. Now blog like you're never blogged before. List 7 things that you love, and then pass the award on to 7 bloggers that you love! Be sure to tag them and let them know that they have won.You can copy the picture of the award and paste it on your sidebar letting the whole world know...you are Kreativ! 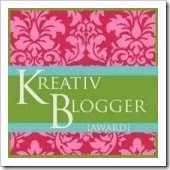 “This award is bestowed upon a fellow blogger whose blog’s content or design is, in the giver’s opinion, brilliant." 3. I twist my words and it comes out bad. Stranger: What year are you? I tried and the key word is "tried" to pick the people I believe who hasn't received the awards yet. Here's a swatch of the lipsticks on my hand. I also swatched it on my lips. It has 3 cream concealers and one powder (bottom right). They also include two tiny brushes for the cream and powder. I usually make this fresh, but my sister-in-law left this box down here the last time they visited. I might as well use it instead of it going to waste... hehe~ You can make this dish twice with this box. Inside the box there's 2 packages. One package has a big bag with a small bag attached onto the big one. Cut open the big bag and put it in a big bowl. Then you add 3/4 cup of water, and mix (SORRY I didn't take a picture). If you don't have the package, you can make it fresh from flour. In a big bowl, add 4 c. flour, 1 egg, and 1 c. water. After you mix the dough, wrap it with a plastic wrap. I usually make it in the morning of the night I'm going to make this soup. Then keep it in the refrigerator. In a pot, you're going to make the broth. You need water, anchovies, and dashima (dried seaweed). Cook the broth for about 20-30 minutes. Remove the anchovies and dashima from the broth. You can throw away the anchovies. It is up to you if you want to throw away the dashima. I used it at the end of the recipe. I cut my potatoes into triangle pieces and dump it into the broth. I also add chopped garlic. After cooking for 15-20 minutes, I cut little pieces of the dough (taken out from the refrigerator) you did in step 1. It needs to be in small, flat pieces. I use my hand to rip the pieces and then throw them in the soup. Once the dough is done, it will rise to the top. Then I cut my squash into triangle pieces and throw that into the soup. Then I add salt and black pepper to my taste. I top of the soup with chopped green onions and cut dashima that I used for the broth. This past Friday I checked out MAC to see their new collection, the duo blushes. I wish I didn't because I ended up buying one *sigh*. Here's a swatch of the blush. It's a mineral blush with two different colors. The one on the left is the bottom of the blush, and the one on the right is the top of the blush. The one thing I was disappointed about their blush is how freaking small it is. I guess you can say I expected it to be bigger but it's really pigmented. I was blown away how pigmented the blushes were! :) While I was checking out the blushes, I thought it was the same size as the duo mineral eyeshadows. I came home and compared the sizes and I was wrong... lol~ It's a little big larger than the eyeshadows. :P Here's a comparison. After MAC, I checked out the new TJ Max. I wish I didn't because I ended up buying again *sigh*. I bought a new purse by Katy Van Zeeland. I've been wanting the Thalia lipstick from NYX, as well as, wanting to try their round lipgloss in Ballerina Pink. I bought this during their free shipping on March 10th and I received it 4 days later... woo hoo~ That was pretty fast shipping!!! They also gave me a free lipgloss from Amuse. I also compared Tobster to Tobey Jr. Does Tobster look like Tobey? Did I do a good job? What do you think? I also had to make two more hearts for the middle school boys I know.